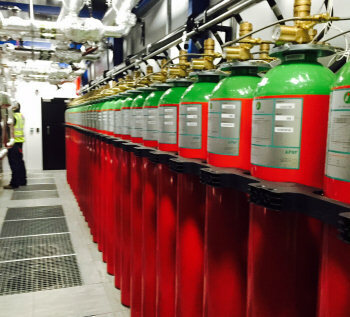 Fire Control UK is able to provide the most effective fire extinguishing solution irrespective of the size and complexity of the risk. Fixed Extinguishing Systems are able to detect a fire, shutdown equipment and extinguish the fire, typically within 15 seconds. This minimises damage and reduces the risk of serious injury and loss of life. An Inert Gas, non-corrosive, with no harmful effect on most materials. It will not contaminate foodstuff. It disperses leaving no material trace. Firetrace is an automatic self-seeking fire extinguisher which puts out fires where they start by means of a flexible fire detection and delivery tube. Firetrace provides highly localised fire suppression. 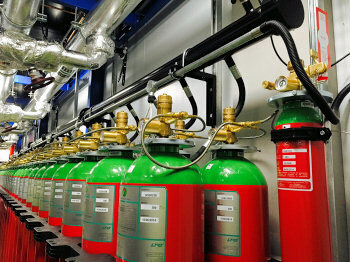 It is vitally important the Fire Suppression System is triggered by an efficient fire detection system.